The candles for the Lunedot candlestick fit perfectly in the metal candle sleeve of the Lundeot candlestick. They not only fit exactly, but they also have a burn time of 10 hours as a result of the quality of the paraffin wax and wick. 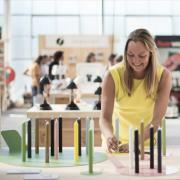 A similar supermarket candle lasts up to 4 hours. 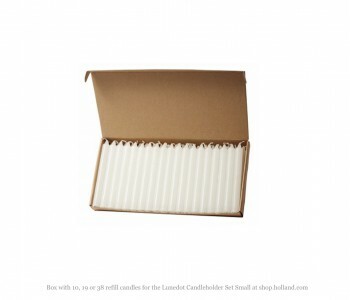 This box contains 38 Lunedot candles. These candles for the Lunedot candlestick fit perfectly in the metal candle sleeve of the Lundeot candlestick. They not only fit exactly, but they also have a burn time of 10 hours as a result of the quality of the paraffin wax and wick. A similar supermarket candle lasts up to 4 hours. 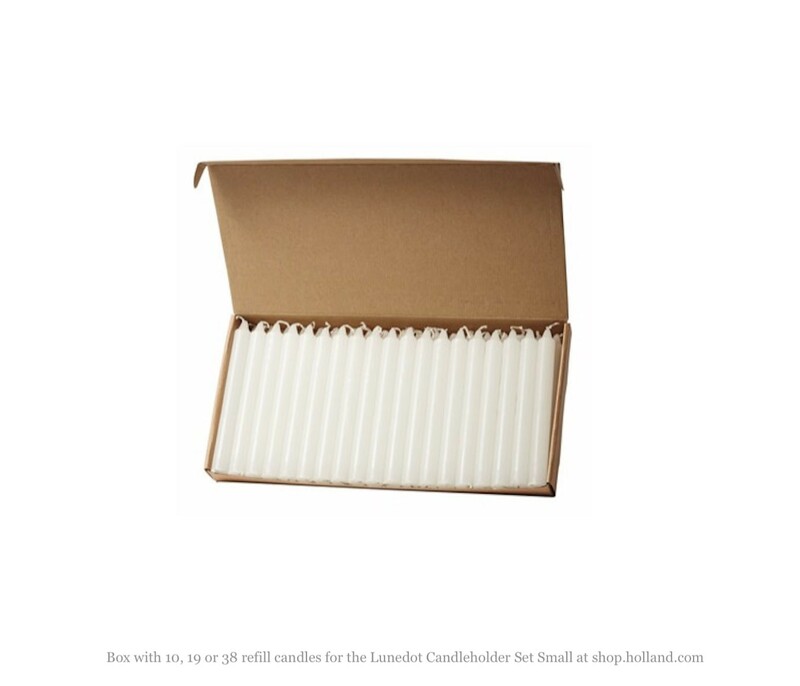 This box contains 38 Lunedot candles.